Fashion isn’t just about clothes, but the whole look. Don’t think, that if you’re wearing designer clothes head to toe and your face is scruffy, your hair is having a bad day or your nails are chipped, people will not notice. They will! And it will ruin all your efforts. Therefore I am gratefull for all the miracle beauty workers there are. And in big numbers! 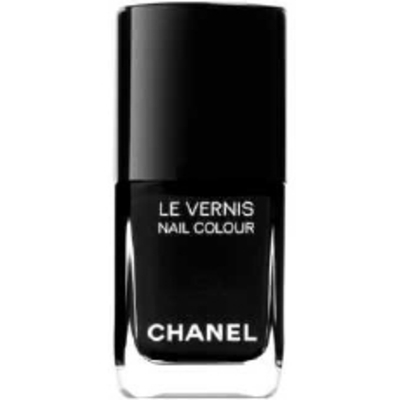 One of my favourites is Chanel Le vernis nail colour in black. It’s very chic and goes with anything. It has a great lasting power and you only need one layer. Great for busy girls on the go. Black is timeless, sophisticated and cool. No wonder many celebrities are painting their nails black too. So no excuse for your hands to look less than perfect.